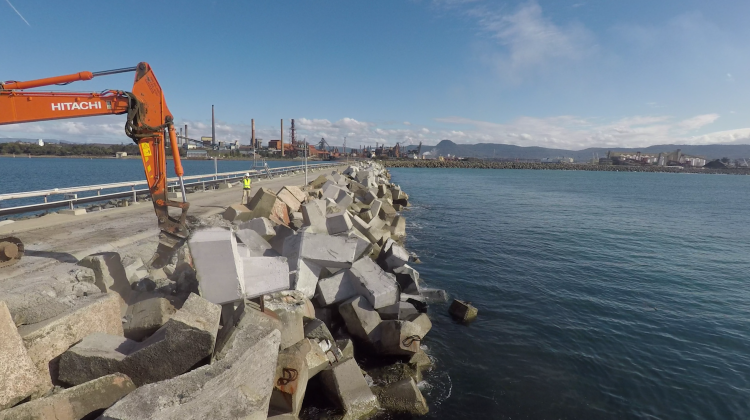 Researchers from UNSW have developed a new high-density (low carbon) geopolymer concrete using fly ash and steel furnace slag that greatly enhances the stability of armour units on breakwaters. “It started in 2016 when my colleague Associate Professor Arnaud Castel and I were doing some work for the CRC for Low Carbon Living,” says Professor Stephen Foster, who explains that project sponsors, The Ash Development Association of Australia, and the Australasian (iron & steel) Slag Association, had approached the CRC because they were looking for innovative ways to use industrial by-products: fly ash and steel slag (respectively). Little did they know that they would create a unique high density concrete technology that could help address two of the biggest issues of our time: climate change and the sustainable use of resources. 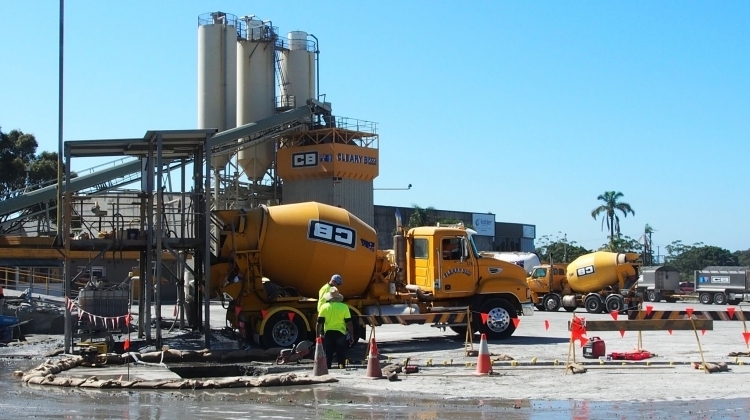 It takes about 800 kg of CO2 emissions to generate a tonne of cement, and it is estimated that the manufacture of Portland cement in Australia produces eight million tonnes of carbon emissions per year. At the same time, Australia generates 14 million tonnes of fly ash (from coal fired power generation) and three million tonnes of various metallurgical slags (from steel manufacture) as industrial by-products, which have considerable potential for full utilisation within a circular economy. “Steel slag can’t be used in conventional Portland cement concrete as free unhydrated lime reacts with it, so we asked the question: ‘What happens if we put steel slag into low carbon geopolymer concrete?’” says Foster, who is one of the world’s top experts in concrete structures development and the Head of UNSW Civil and Environmental Engineering. That was when Foster crossed paths with Associate Professor Ron Cox from the UNSW Water Research Laboratory and they made a serendipitous connection. This has the potential to halve the volume of concrete we need to do the same job, it’s not just that we’ve used a much more sustainable concrete, we’re actually using a lot less of it as well. 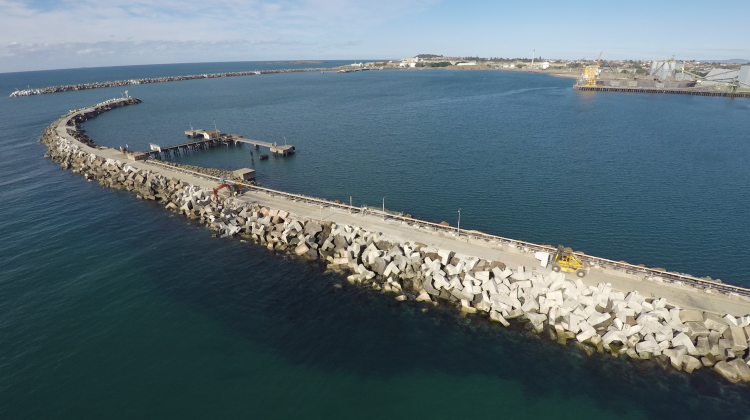 Breakwaters are used as a coastal protection measure to shelter ports, harbours and coastal properties against storms and damaging waves. They usually consist of a compact rubble foundation and quarried rock or manufactured concrete armour units, which are placed in layers on top of the foundation to stabilise the structure against wave action. “Coastal structures in many parts of the world are typically designed for depth-limited breaking wave conditions. With a projected sea level rise of up to 90cm by 2100, the design wave height for these structures is expected to increase,” says Cox, who is a coastal engineer and National Convenor of the Australian Climate Change Adaptation Research Network for Settlements and Infrastructure (ACCARNSI). “Many of these structures will require significant armour upgrades to accommodate these new conditions. For example, a 25% increase in wave height will require the armour mass to be doubled. High density units are important as modest increases in material density lead to large gains in overall stability,” he continues. With the serendipitous connection made, Foster and Cox reached out to their networks and assembled a large multidisciplinary team of researchers and industry partners to pull the research threads together. The result is a new concrete mix design which has several impactful benefits. In addition to utilising the by-products of fly ash and steel slag, creating new high value use opportunities, the high density of the concrete means units can be smaller. Smaller units mean smaller rock underlayers and smaller equipment required for construction, providing significant cost reductions and a smaller carbon footprint overall. 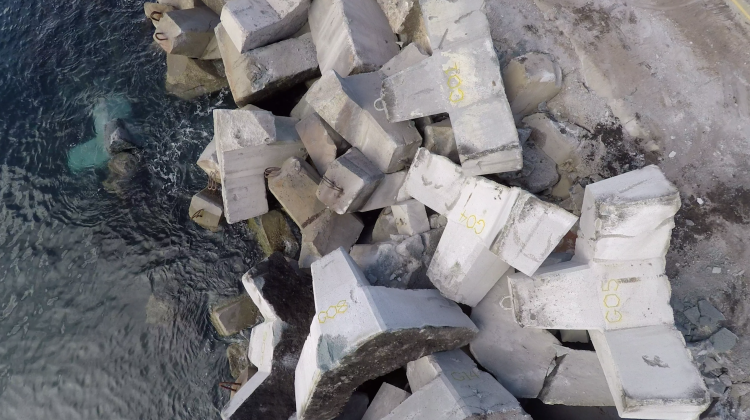 “This has the potential to halve the volume of concrete we need to do the same job, so it’s not just that we’ve used a much more sustainable concrete, we’re actually using a lot less of it as well,” says Foster. Other benefits include increased stability while retaining good interlocking with existing armour; higher tensile strength; improved resistance to deterioration in the marine environment; and, ultimately, a more resilient coastal infrastructure. 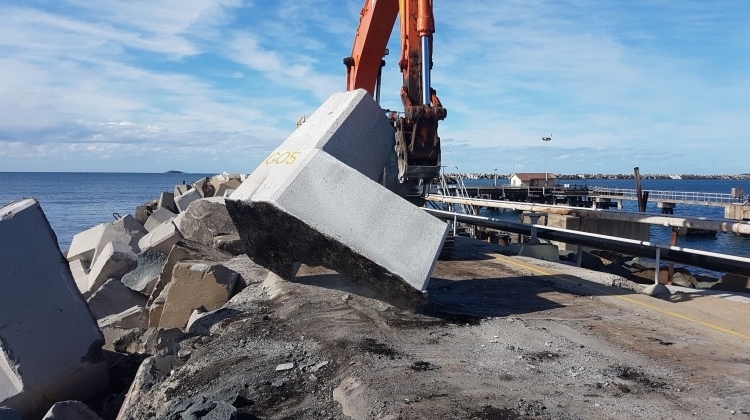 Fourteen high density low carbon geopolymer concrete 18-tonne Hanbar units have been cast and placed on the north breakwater at NSW Ports’ Port Kembla Harbour. 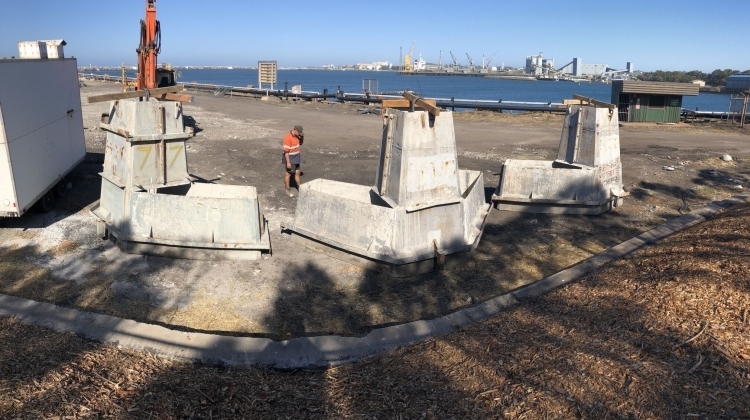 In terms of next steps, these units will be monitored for stability and integrity and will provide a valuable benchmark for future use of geopolymer concrete.